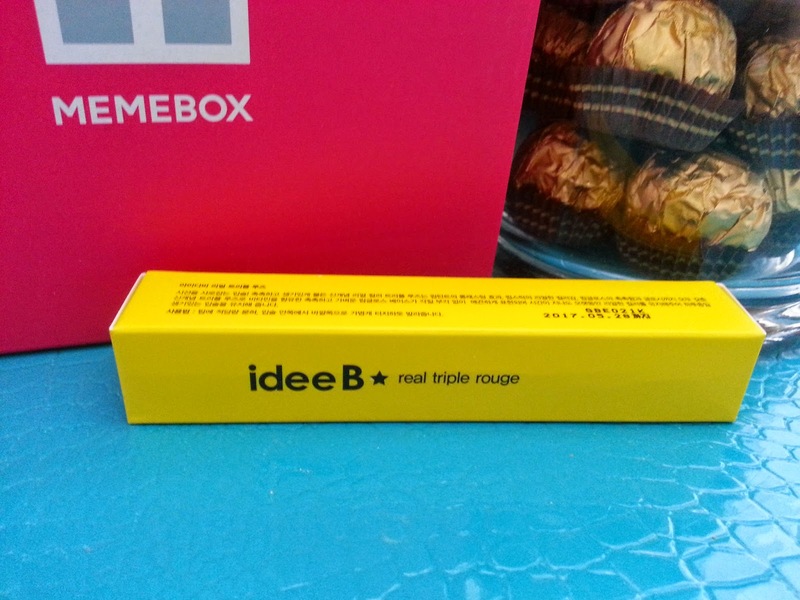 Memebox is a Korean none subscription beauty box company that sells beauty boxes and Korean beauty products. 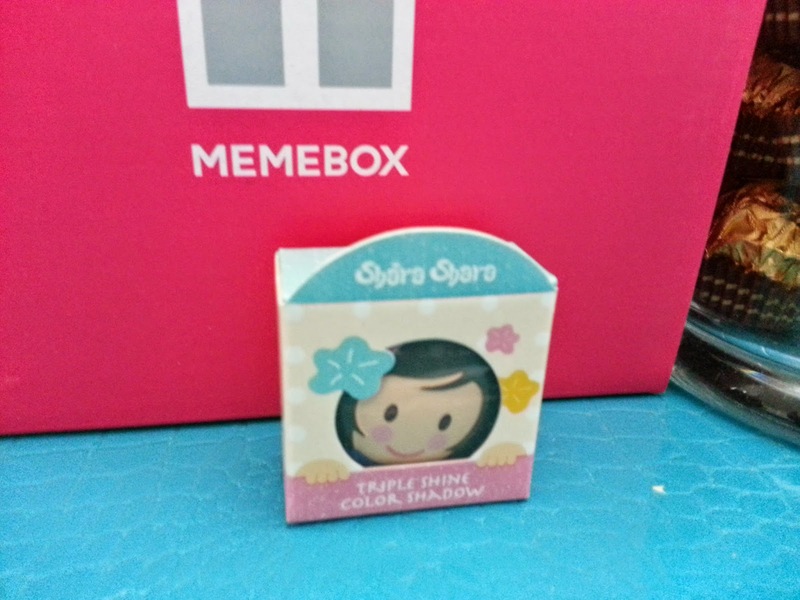 This was my first K-Style box from Memebox and I was so disappointed. Ugh. For the first time I feel like I wasted my money on a Memebox. I purchased the K-Style 4 box with the OMG 4 box in a box bundle so it would arrive faster since box bundles are always shipped express. The K-Style 4 box came with 6 items (as seen in picture above). It looks empty doesn't it? It felt pretty empty too. 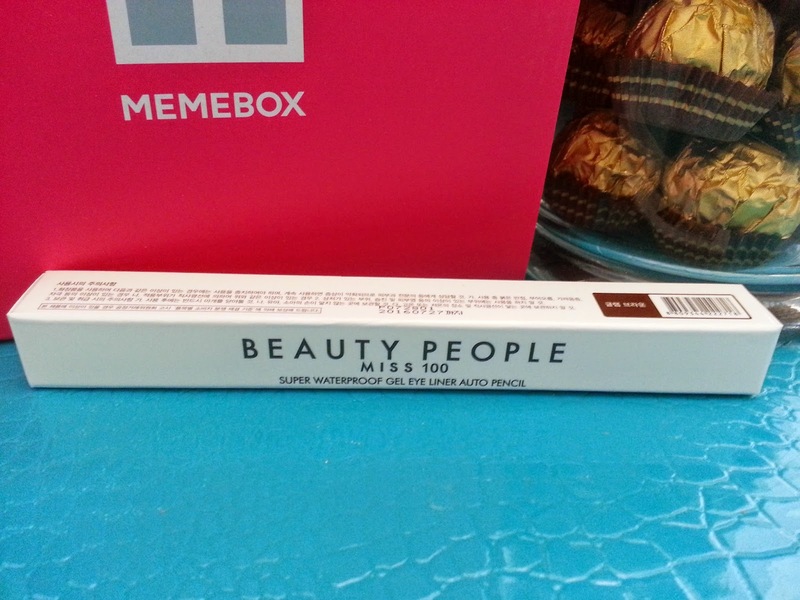 There are 3 products in the box that are from another Memebox (aka the CPM2 box). Unlucky me, who purchased K-Style 4 to get 3 repeat items that are not even good. OK, enough complaining, let's dig in and see why I am so disappointed in this box. A unique face control foundation which works to brighten complexion and make it look balanced and healthy. It contains natural preservatives such as green tea extracts and magnolia extracts. Unique is right. This is a repeat item from the CPM2 box. I did not open this product because my skin has redness, so green is the best counter for that instead of purple. I can't believe this tiny product cost $22 though. I can buy the Lioele Dollish Veil Vita BB in Green or Purple (which I love btw) for the same price and I know it contains way more product, plus it's the best face control BB cream I've tried so far. Baked type eye shadow in a 3 colored palette. It's got a silky texture and it is long lasting as well. If you look back to the first picture you'll see that there are 4 color choices for this eye shadow. This is also a repeat product from the CPM2. Of course, unlucky me, I got the Cobalt blue one. The Cobalt blue comes with 3 colors, white shimmer, light aqua shimmer and cobalt blue shimmer. The white shimmer I can probably use as a highlighter on the corners of my eyes or something. Since I'm more into neutrals when it comes to eye shadows (unless it's special events) the 2 blues are of no use to me. Don't think I'd wear either of them to a special event either, unless it's for Halloween, mermaid anyone? An auto lip crayon that glides on smoothly and leaves lips moist and supple. It will leave the lips with a soft and silky finish. The third item in this K-Style 4 box that's a repeat from the CPM2 box. I was sad that there are 2 lip products in this box. 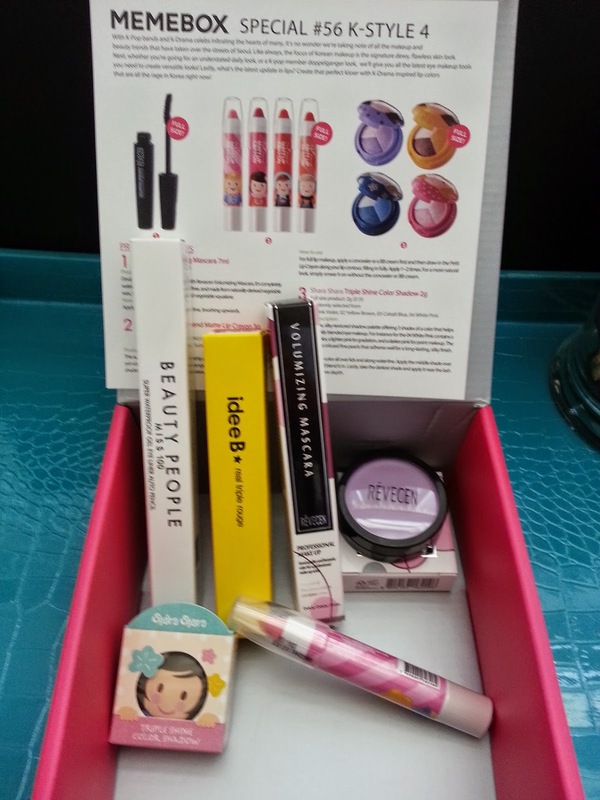 There's so much in the k-style beauty world yet this k-style box landed with 2 lip products. I'm not a fan of lip crayons. 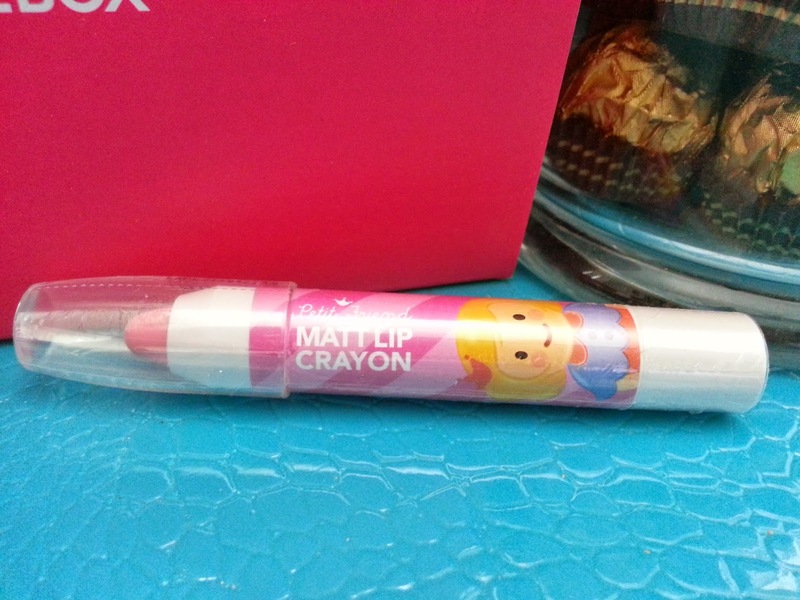 Although I've never tried this one from Shara Shara, I've had bad experiences with other lip crayons in the past, so I didn't want to chance it. I've got a lot of pink lip products too, so I will give this one a skip. An auto-type eyeliner that glides on easily and smoothly. It's colors are blended with a light pearl shimmer to create the perfect look. It also comes with a sharpener attached to its end for convenience. The only product in this box that I was excited for. I've heard a lot of great things about Beauty People's eyeliners and have always wanted to try one. It's on the expensive side, especially since there are many cheaper eyeliners that work just like this one such as the Peripera gel liner (which is one of my current favorites). The Glam Brown is a dark blown color mixed with a bit of gold flakes. It can used for day and night looks. I will have a detailed review on it coming soon! This 3 in 1 lip product is perfect for winter times. It combines the functions of a lipstick, a lip tint and a lip gloss into one. It stays on nicely without dehydrating the lips. It also creates a shiny suppleness and long lasting wear. I feel like I've received 1 or 2 lip product in every Memebox I've purchased thus far. Although this lip product sounds nice, I will be giving it out instead of using it myself. This mascara will double the volume of your lashes. It's completely waterproof, smudge-proof, paraben free and made from naturally derived vegetable wax, vitamins, allantoin, collagen, and vegetable squalane. I'm really picky when it comes to mascaras. Just like eyeliners, I'm looking for that perfect waterproof, smudge proof and sebum proof trio combination and so far I haven't found it yet. I've got some of my favorite mascaras such as the Lancome Hypnose Star Waterproof and Innisfree Skinny Microcara. However, both of these are not smudge proof, but I love them still. 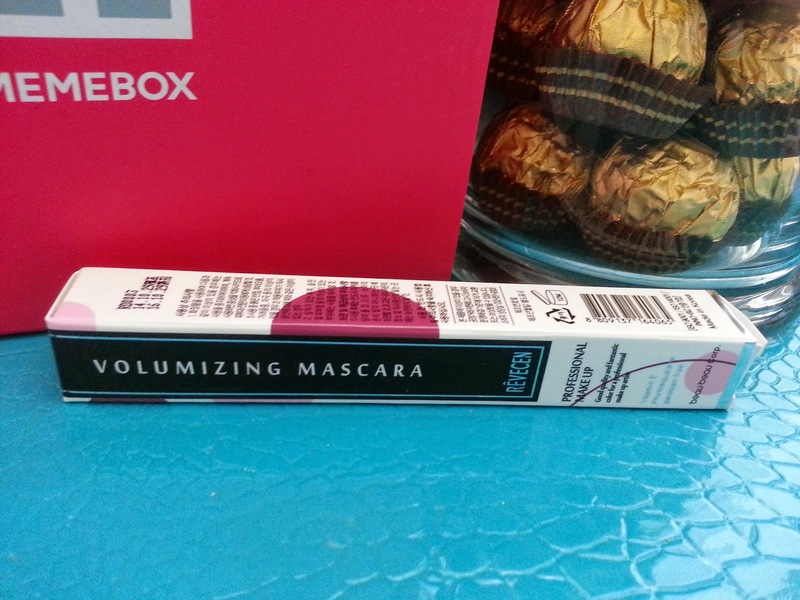 I will give this mascara a try, and hope it will live up to its descriptions! 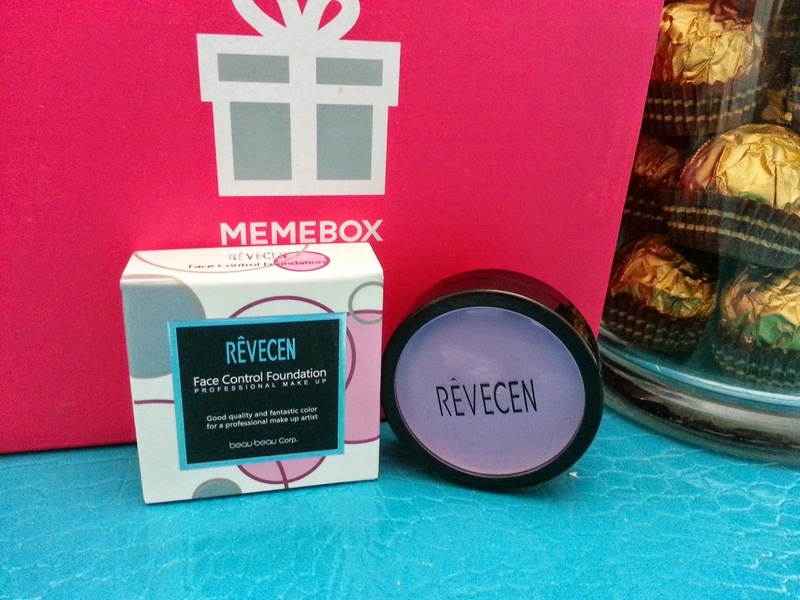 You can check out current boxes here on Memebox, plus sign up now and get $2 store credit. Disclosure: The products were purchased by me and all the opinions are honest and my own. This post contains affiliate links and thank you in advance if you choose to use them.